In November 2013, AvantGarde Model Kits (AMK) generated some buzz announcing a new tool 1/48th Grumman F-14 Tomcat kit project for 2014 ( http://www.britmodeller.com/forums/index.php?/topic/234950051-avant-garde-2014-list/). Most of the rumourmongers - including myself - considered this project as dead. But some hours ago AMK has changed its Facebook introduction picture. The new one - rather grainy! - is a F-14 Tomcat taking off full AB. A sign or not? Time will tell. That said in my opinion a new tool 1/48th F-14 is like a new Me.109 or Fw.190: not necessary! If the rumour's true, and the kit is as good as their Delfin and Magister, I'll take a half dozen! Interesting. I do not know anything about AMK, but I did google a few builds. I hope that if they do release an F-14 that it assembles well. I am curious as to price and version(s)/markings. VF-1 has always been a favorite of mine. Oh well time will tell, and I still have to find room for a work bench. I know that the world will not end tomorrow (except for those who will have the misfortune to die), and there is time for manufacturers to launch many new kits but for me an F-14 (another one) does not heat or cools me. According to Annetra, czech distributor of AMK, Tomcat should arrive next year (2016). 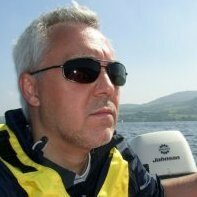 Interests:Aircraft, Aviation Photography, Model railways. It says Easy to Build - Right up my Street! So true, that was the perfect example of a jet trainer I couldn't care at all, but the sublime design and extensive detail level offered by AMK made me order 3 kits. I have 3 full kits of the Fine Molds 1/72 F-14D Tomcat that I ordered in a fit of pique simply because there were no detailed+accurate+easy to build 1/48 kit, now that AMK's releasing it, my Fine Molds kits are flying to the sales dept. AMK's superlative design, great detail, optimum fit (from what I read) and accuracy makes it the new winner as far as I'm concerned, long live to them. Right, this is on the cards for 2016 and confirmed. Well I believe the plan will be to release three boxes. The F-14A is like to be the first. Early vents, possibly even the very early steps (yet to be decided), one piece Phoenix missile, forward or swept wings, dropped slats and flaps, possibly even wing spoilers as separate parts (again, yet to be finalised). Choice of Beaver Tails, choice of......... well, can't give too much away yet. We'd have nothing to discuss. Decals not sure yet. Open to suggestions. I wonder whether it would be prudent to do perhaps three schemes? VF-51 for the later one. Whenever I can find some VF-31 decals for it, then this shall be mine! What about a VF-51 bird, very early 80's with operation Eagle Claw markings? Markings: if you're going to give options for the early aircrafts too, then one of these should of course be included in the box. While the early configured aircrafts survived long enough to wear all schemes, my feeling is that one of these should be offered in the early high-visibility scheme. This limits the choices to VF-1, 2, 14, 32, plus the two training units VF-124 and VF-101. VF-142 and 143 received aircrafts from Block 80 onward that had the early gun vent but the new beaver tail. The earlier aircrafts later of course moved across various units. I wonder whether you mean moving parts or two separate options. I'd love to have the latter with third option of wings in parked position if I may be so bold. => VF-1; colorfull and nice scheme, not seen so often compared to VF-84 and VF-2 for exemple. VF-143 too, with a nice white and tan radome. As said above, it would be nice to find an all-gray aircraft, in this case my choice would be VF-41 from 1980, with markings for Eagle Claw. Also, what about a Ferris scheme??? The Tomcat mafia over on ARC won't stand for anything less. I'd prefer to do mine in VF-101, or VF-102 colours as I worked with these two squadrons back in 1990. I think Jolly Rogers and Sundowners should be done. And also you should consider markings for the Iranian Tomcats, old or recent splinter camo! All this boring grey scheme's.... Just go for the colourful ones, I say Iranian!! From iran/iraq war. some cats are supposed to have some killmarks. There were also a lot of squadrons in the overall Light Gull Gray scheme which should also be considered. VF-142 Ghostriders, U.S.S. Dwight D. Eisenhower (circa 1985), please! also, are you considering scaling down and also issueing a Tomcat in 1/72 scale? If you're talking Tomcats then the colour Jolly Rogers scheme is the one. In my opinion, just saying. Other, inferior, schemes are available.